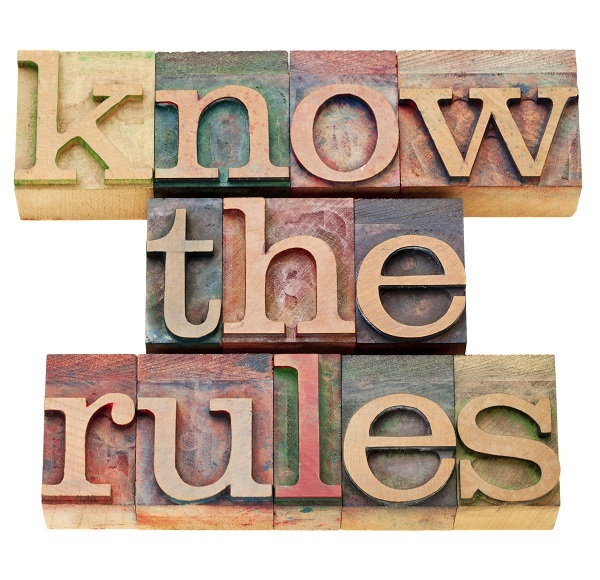 Each branch of the sport has its own rules, regulations and methods of scoring. Long before you need to know any of these, you will have to put in some serious hours practising the basics, which means you must be competent at sharing the slopes with other skiers who are each travelling on their own individual routes. Just as the Alpine farmers used to use bells to locate their animals, people would also wear bells on their ski poles to alert others of their approach when conditions restrict visibility. This is rarely practiced on slopes nowadays however, and so a set of rules that dictate courteous behaviour are in place. All skiers should be familiar with the rules before skiing, as they work on the principle that each skier is responsible for his or her own behaviour. Failure to adhere to this code or irresponsible skiing can lead to liability in the case of any accident in which they may be involved. The rules also apply to dry slopes, where even further care should be taken owing to the number of inexperienced skiers. Any instructor should inform and educate their pupils about these rules, although they may shy away from them slightly in some cases in order to concentrate on your improvement in skill instead, as this is what they tend to be judged on. – All skiers must act in a way whereby he or she does not endanger or prejudice others. – A skier must adapt his speed and way of skiing to his personal ability and to the prevailing conditions of snow, terrain and weather. In addition, you should consider who else may be on the run and how fast they may be travelling. You should be aware that, on fast runs, people tend to ski quickly and you may be putting yourself and others at risk if you are forced to ski slowly for whatever reason. You should take care around lifts and at the end of runs and always be able to turn or perform any other controlling manoeuvre on the terrain that you are able to see. – A skier coming from above, whose dominant position allows him a choice of pathway must take the direction which assures the safety of skiers below. There is no fixed idea of passing on the left or right, every skier must make the decision for themselves how to handle each situation as they encounter it. Although a slower skier appears to have “right of way” they are expected to act in a predictable manner and with due respect to those above them. – It is permitted to overtake a skier on either side, providing you leave sufficient room for them to make or complete their turns. You must abide by this whether the skier is moving or stationary. – A skier wishing to enter and cross a ski run must ensure that they can do so without endangering himself or others. The same applies when starting after a stop on a ski run. Just as you would look both ways before crossing a road, you are expected to do the same while crossing a ski run. – Avoid stopping on the run unless it is absolutely necessary. Never stop in constricted areas or places with poor visibility. In case of a fall, move to the side as soon as possible. Some runs may forbid you from stopping in narrow stretches of the slope or at junctions. As with the rest of the rules, use common sense and foresight. – A climbing skier or pedestrian must keep to the edge of the piste. In poor visibility, keep off the piste completely. – Skiers must obey the signs. You should respect all signs, particularly those stating a run is closed or hazard warnings. You should also obey the instructions of the staff of the company running the slope. This rules obviously requires you to be aware of the signs and rules for the slope which are detailed below. – At an accident, it is everyone’s duty to assist. In some countries, it is an offence to ignore an accident on a mountain in the same way as it would be on the road. Continuing the theme, witnesses must establish their identity if a report of the accident is required. This may be difficult if you do not speak the native language, but you should be aware that you may be bound by European law to make yourself known to the authorities. – The equipment is obviously designed to move freely along the snow. One that is not attached to a body therefore can move at high speeds down the slope and cause very serious injury. You should therefore make all efforts not to lose a ski by wearing skis with integral brakes.